It is better to go for a financial counselling session before signing the loan agreement papers to the lender. The more knowledge you have about the borrowing and repayment, the better you will be prepared for paying it back. You will never end up missing a payment if you set up automatic payments. Some of the lenders also offer discounts on the interest rate if you do so. Once you complete your college education and when it is time to start repaying your debts, calculate how much money you have to pay every month. Keep aside the loan amount without fail even if you have to cut out certain luxuries in order to do this. If you find the minimum loan amount to be repaid is not affordable, you can also look for another repayment plan such as a consolidation plan. Pay your loan debt every other weak instead of adding it to the month end. This helps to cut your loan debts faster. Student loan debt consolidation will be effective only if you owe several lenders. Debt consolidation ensures that you repay loans at cheaper rates and this option is effective if you have student federal loans. Making your payment automated will help you because you don’t have to remember the dates of repayment. You should only consider this option if your debt amount exceeds $10,000 or if the interest rate is higher than the current rate in the market. You should never combine government loan and private loans at any cost, otherwise you will not be able to claim any federal benefits like subsidized rates or deferment. In case of student loans, you will always want to get the lowest interest rates possible. This will reduce your total loan payment and also the monthly payment. 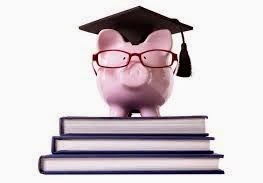 The best ways to save money in terms of student loans are to refinance your loans at a low interest rate. Refinancing is an option when you have an increased income or a better credit. The lower the new interest rate, the more you can save on interest. The repayment term for your loan depends on the amount you have taken as a loan from the lender. If you are not financially responsible, it can even take more than 30 years to close the loan. So it is important to be responsible for the amount you have borrowed and to clear off the debt amount at the shortest time possible. If you clear your debt sooner, your interest rate will definitely go low. Finding out a lender who gives you favorable interest rates and better terms and conditions is not really easy. So before choosing a lender, do your own research by searching online and asking your friends and neighbors. Author Bio: The author is an established freelance writer who is currently working for several websites that deals with finance, insurance, car dealership and travel. She has been working in the industry for the last 5 years. She is also a writer at essaypro.com.